Looking for something fun to do with your family over the Easter bank holiday weekend? 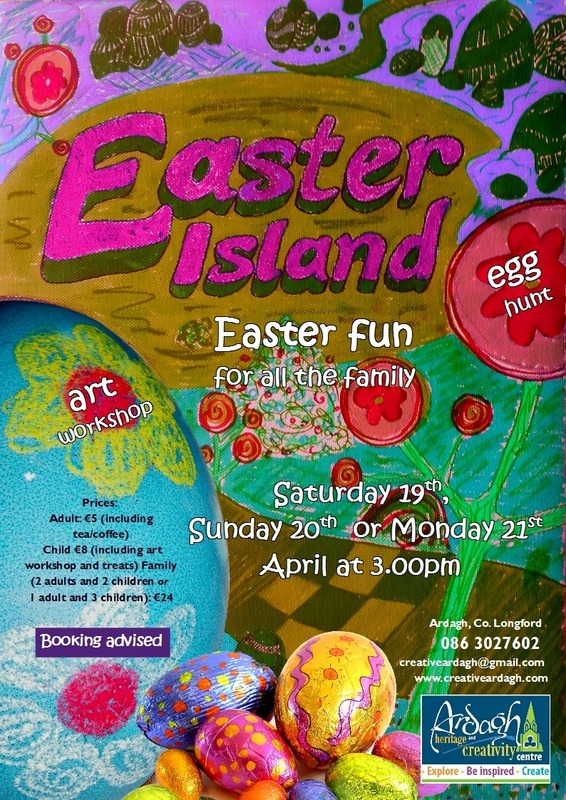 Come and join us on Easter Island for an egg hunt, art workshop and lots more surprises at 3.00pm on Saturday 19th, Sunday 20th or Monday 21st April. Early booking advised as our events usually book out quickly. €8 per child, €5 per adult (including tea/coffee) or €24 for a family of 4 (2 adults and 2 children or 1 adult and 3 children).